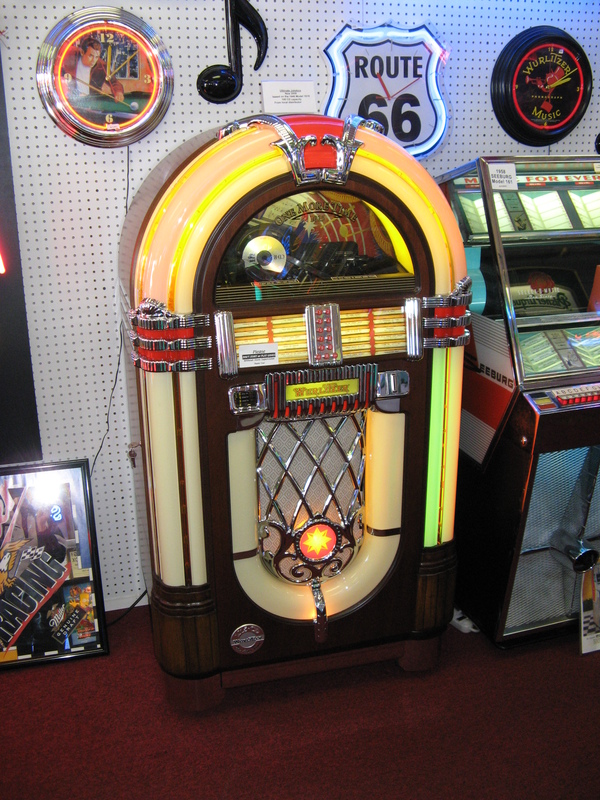 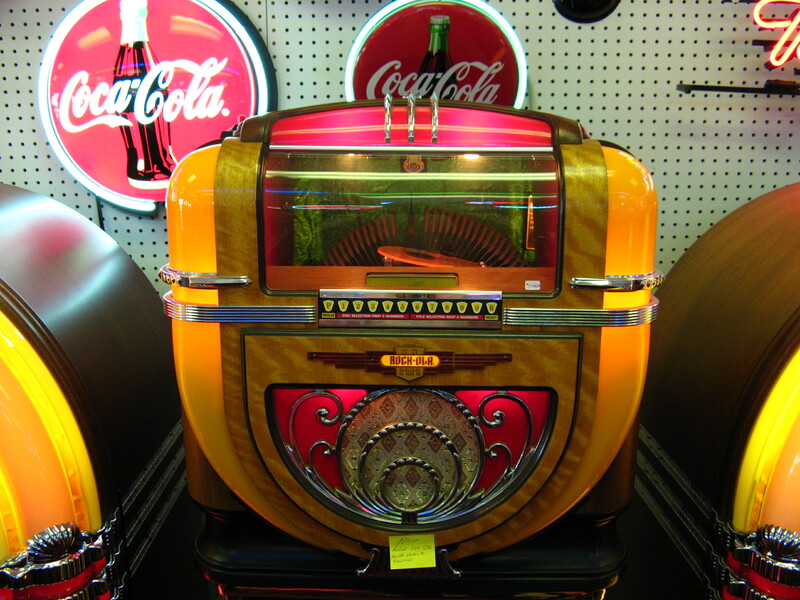 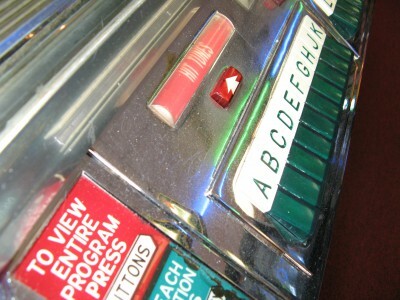 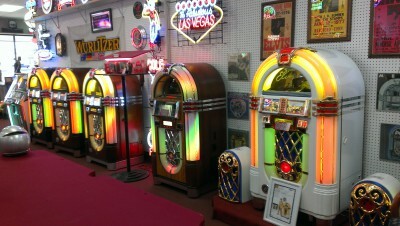 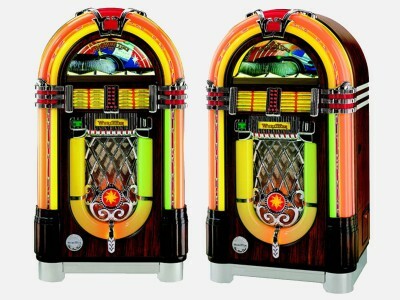 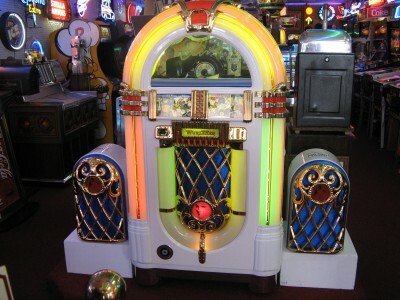 We have the finest selection of fully restored antique jukeboxes on the East Coast. From antique originals, to state-of-the-art brand new touchscreen hard drive based jukeboxes, you can find them all in our show room. Currently we feature jukeboxes from Wurlitzer, Rock-Ola, Rowe, AMI and Seeburg. 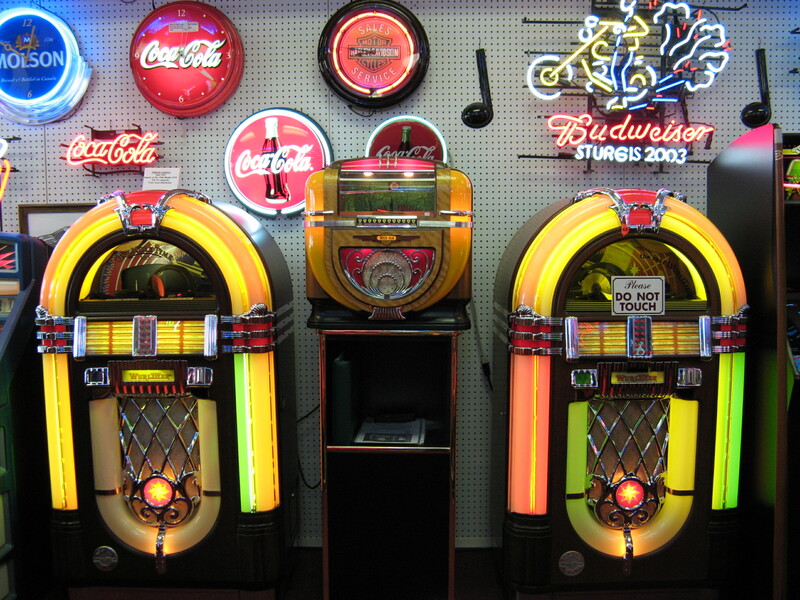 From fully restored originals, to brand new hard-drive driven state-of-the-art jukeboxes, find them all in our show room. 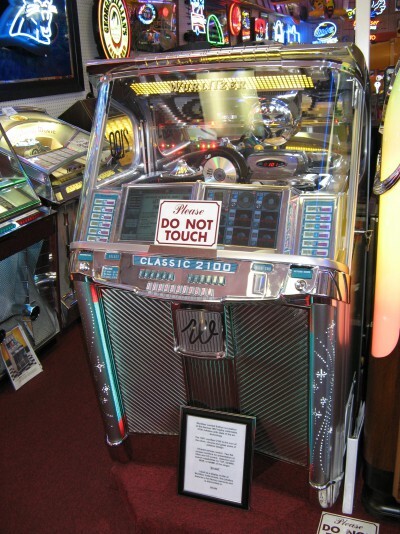 This consists of Wurlitzer, Rock-Ola, and Seeburg jukeboxes. 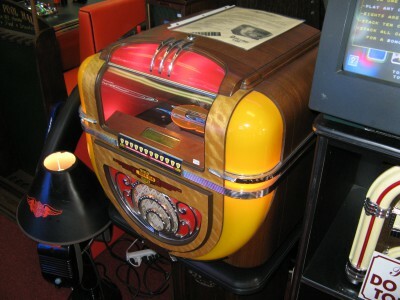 Gibson/Wurlitzer has ceased production of the Wurlitzer jukebox line, but we still service and sell Wurlitzer jukeboxes!